A bladder infection, also called cystitis, is caused by an abnormal growth of bacteria inside the bladder, the balloon-like organ that stores urine. Bladder infections are one of the most common bacterial infections to affect humans, with up to one-third of all females having at least one infection at some point in their lives. Bladder infections are classified as either simple or complicated. 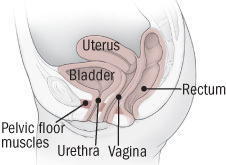 Simple bladder infections affect only healthy women with normal urinary systems. Bladder infections are rare in men who are otherwise healthy, so men are included in the complicated category with members of both sexes who have abnormal urinary systems.